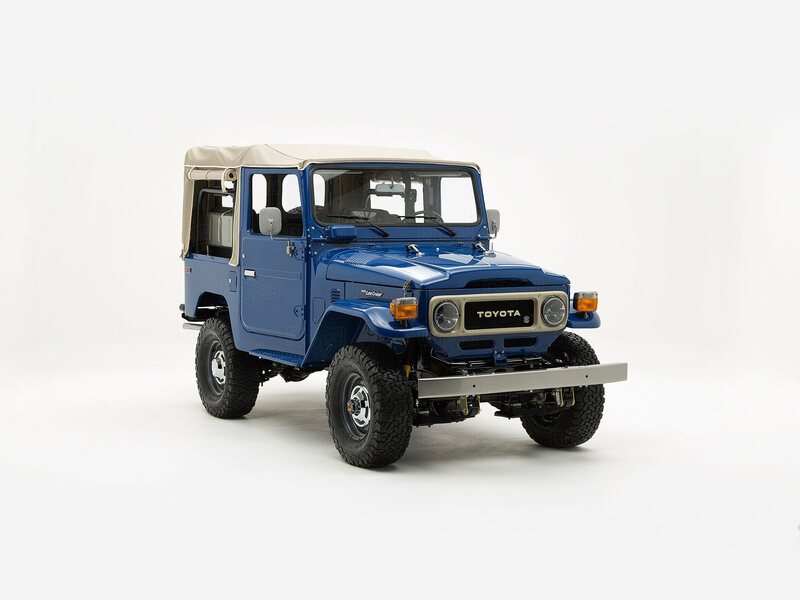 Among Atlanta’s tree-lined streets and rolling pavement, you’ll find this classic FJ40, perfected and repainted in Medium Blue. Designed for weekend fun and the occasional highway drive, this revitalized custom ride is ready to rise. This is the FJ40, its fenders: flared, its grille: rectangular, its lines: sharp. All of that classic awesomeness rolling on a set of all-powerful all-terrain tires, with a canvas soft top that feels like it was made for springtime in the South. 10-Lane highway or country road, this Land Cruiser was made to conquer them all, with a classic powertrain that’s been rebuilt and amped up for modern adventures. Under the hood lies the 2F engine, Toyota’s “big six” paired with a 5-speed gearbox that puts the “cruise” back in Land Cruiser. Sharing the credit for creating a more comfortable ride, are the tried and true Old Man Emu leaf springs and the revitalized power steering. Inside, old-school looks combine seamlessly with modern technology to create a cabin that is both classic and comfortable. The split front bench, retro pull knob, and gauges are a nod to the Land Cruiser’s early years, while the modern digital radio and climate control keeps everyone in the cabin cool and comfortable. That retro look you love now comes with an amped-up modern powertrain. Build your own G40 Heritage by The FJ Company today!